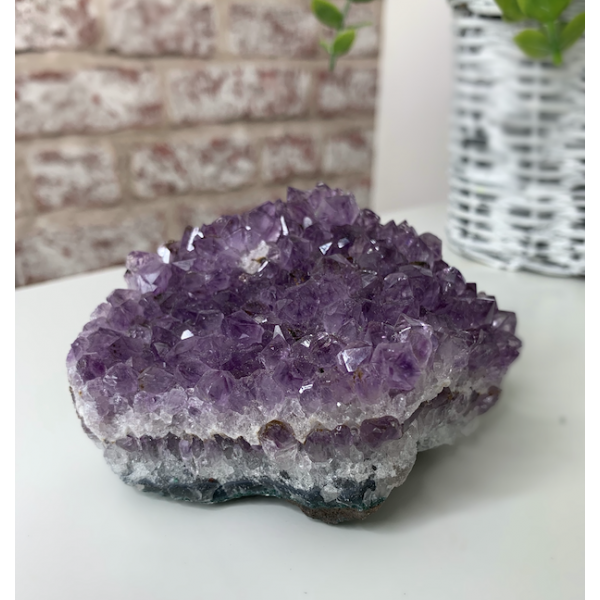 This Amethyst cluster measures around 75mm- 100mm. Your Amethyst will include an information card. Serenity stone, creates a calm and serene environment which is great for stress and anxiety relief. Physically it is said to reduce headaches, balance hormones and detox the body. It is also good for pain relief and boosting the immune system. Improves mental focus, brings you new ideas and improves decision making. A powerful protection stone, great to keep by the front door. Extremely relaxing and can help with insomnia and night time anxiety. 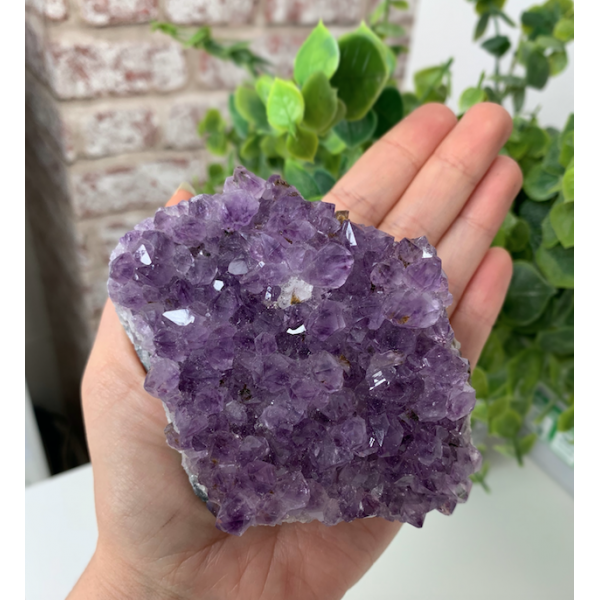 Hold Amethyst when you are goal setting. Please remember your crystal will be unique to you, it may not look exactly like the picture as every crystal is different. They can vary in shape and size but all are beautiful and powerful. 30mm Rose Aura Quartz Heals a broken heart and gives you the strength to move forwar..